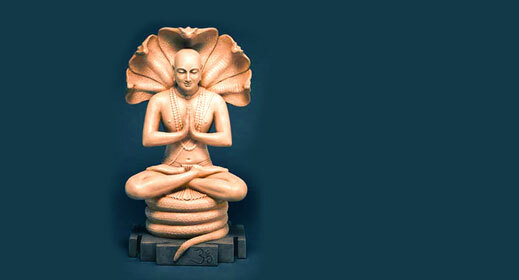 His short and masterly work, Yoga Sutras, forms one of the six systems of Hindu philosophy. In contradistinction to Western philosophies, all six Hindu systems embody not only theoretical teachings but practical ones also. After pursuing every conceivable ontological inquiry, the Hindu systems formulate six definite disciplines aimed at the permanent removal of suffering and the attainment of timeless bliss. 1. Yama (moral conduct), – Yama is fulfilled by noninjury to others, truthfulness, nonstealing, continence, and non-covetousness. These yogangas, or limbs of yoga, have come to be known as Patanjali’s Eightfold Path of Yoga. They are enumerated in his Yoga Sutras, II:29: Yama (moral conduct, the avoidance of immoral actions); niyama (religious observances); asana (right posture for bodily and mental control); pranayama (control of prana or life force); pratyahara (interiorization of the mind); dharana (concentration); dhyana (meditation); and samadhi (divine union). This first step of the Eightfold Path is fulfilled by observing the “thou shalt nots”—abstaining from injury to others, falsehood, stealing, incontinence, and covetousness. Understood in the full sense of their meaning, these proscripts embrace the whole of moral conduct. By their observance, the yogi avoids the primary or fundamental difficulties that could block his progress toward Self-realization. Breaking the rules of moral conduct creates not only present misery, but long-lasting karmic effects that bind the devotee to suffering and mortal limitation. Asana prescribes the necessary correct posture for yoga meditation. Though many variations have evolved, the essential basics are a steady body with straight, erect spine; chin parallel to the ground; shoulders back, chest out, abdomen in; and eyes focused at the Kutastha center between the eyebrows. The body must be still and unmoving, without strain or tension. When mastered, the correct posture or asana becomes as expressed by Patanjali, “steady and pleasant.” It bestows bodily control and mental and physical calmness, enabling the yogi to meditate for hours, if so desired, without fatigue or restlessness. Patanjali’s pratyahara, the withdrawal of consciousness from the senses, the result of successful practice of pranayama or control of the life force (the astral powers) that enlivens the senses and bears their messages to the brain. When the devotee has attained pratyahara, the life is switched off from the senses, and the mind and consciousness are still and interiorized. The first five steps are the preliminaries of yoga. Samyama, from sam, “together,” andyama, “holding,” consists of the occult trio, dharana (concentration), dhyana (meditation), and samadhi (divine union), and is yoga proper. When the mind has been withdrawn from sensory disturbances (pratyahara), then dharana and dhyana in conjunction produce the varying stages of samadhi: ecstatic realization and, finally, divine union. By reference in the Gita text to Abhimanyu’s metronymic, Saubhadra, we are directed to the meaning of Subhadra, “glorious, splendid.” Thus Abhimanyu is that self-mastery which bestows light or illumination. The metaphorical derivation: Abhi sarvatra manute prakasate iti—”One who shines intensely everywhere,” i.e., who lights or reveals everything; who makes manifest the illumined state of Self-realization. Abhimanyu, Self-Mastery is that great Pandava warrior whose victories enable the yogi to hold back the onslaught of the restless, delusive consciousness of ego, senses, and habits and thus to remain longer and longer in the state of divine soul consciousness—both during and after meditation. True meditation (dhyana) is spoken of as giving ‘conception of the magnitude of Aum‘.